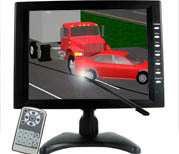 Computer simulations are generally used to validate a traffic crash reconstruction analysis or to perform vehicle dynamics simulations for research or training purposes. We use programs developed by the Engineering Dynamics Corporation (EDC) of Beaverton, Oregon and Virtual Crash USA. The software is very complex and powerful, and is currently being used by auto manufacturers, universities, and governmental agencies. The most current suite of products by EDC includes the HVE™ 3-D simulation environment with compatible physics modules. We use SIMON™ (Simulation Model Non-linear) along with the patented DyMESH® (Dynamic Mechanical Shell) and EDSMAC4® (Engineering Dynamics Simulation Model of Automobile Collisions). These and other programs from EDC allow us to model collisions in the 3-D environment, thus increasing our accuracy and improving our results. Vehicle suspensions and dynamic weight shift are just two of the parameters modeled within the software. 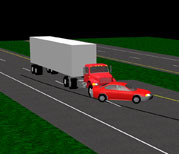 Virtual Crash USA is also a 3-dimensional simulation platform and includes multi-body analysis such as motorcycle, bicycle and pedestrian collisions. In addition to validating a reconstruction analysis, our software is useful in presenting the results of a simulation in a video format. The viewer can see the vehicle movements during the collision and all trajectory phases. Damage profiles that are predicted by the software can be visually and quantitatively compared to actual vehicle deformation to improve the confidence in our findings. This can be powerful evidence to a jury and improve your chances for a successful outcome. We use Rhinoceros™ from Robert McNeel & Associates to create 3D Computer Aided Diagramming (CAD) models that illustrate an environment that has an accurate geometric perspective. We have the ability to apply materials and textures to various objects within the scene to create a realistic looking model. These models can also be imported into our HVE and Virtual Crash simulation environments. Computer simulations are produced from a series of algorithms that are based on the laws of physics. They are mathematically derived and therefore can often accurately predict the trajectories and damage to vehicles during a collision sequence. They require the user to input initial conditions that include inertial parameters of vehicles, driver actions, vehicle speeds and other values. The physics program then becomes a predictive model, showing the results of the collision. Results can often be shown in either a two or three dimensional environment as a movie file. 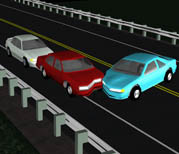 Computer animation within the context of a crash reconstruction is purely a visual representation of an expert’s opinion. It is typically presented as a video that runs at 30 frames per second. There are no constraints on the developer to require vehicles or objects to behave according to the laws of physics. 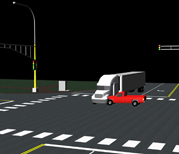 Computer simulation uses physics-based software to predict vehicle movement and interaction. Computer simulations are rendered to a standard video format for playback during a presentaton or trial.